PADS is an acronym which stands for: Public Action to Deliver Shelter; it was founded in 1985. PADS efforts are multi-faceted but one of it main efforts is to have temporary housing available to the homeless. 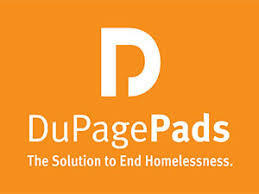 Every night in DuPage there are Churches or a Synagogue open where the homeless who have registered and have been screened by PADS can find temporary overnight shelter. St. Mark’s participates in this program and we have partnered with First Congregational Church to house and feed approximately 65 homeless guests one night a month. Every month St. Mark’s utilizes the First Congregational Church’s facilities including main hall, kitchen, showers, pads, blankets, pillows, sheets, etc. Starting at 6:00pm St. Mark’s volunteers arrive to set up the sleeping pads, organize the evening meal so that our guests can have a filling meal and a safe place to spend the night. Overnight St. Mark’s provides volunteers to look over the sleeping guests. At 5:00 am the breakfast crew arrives to cook and prepare a hearty breakfast. The guests are also given a bag lunch that the St. Mark’s youth have put together the day before. By 7:00am the guests are sent outside. Some will go to another PADS facility the next night, others will sleep outside. Our guests appreciate being in a friendly environment where they receive the respect and comfort that we take for granted. Please contact David Dornblaser with interest or for more information at david@stmarkspads.org.